A perfect blend of sweet and savory. 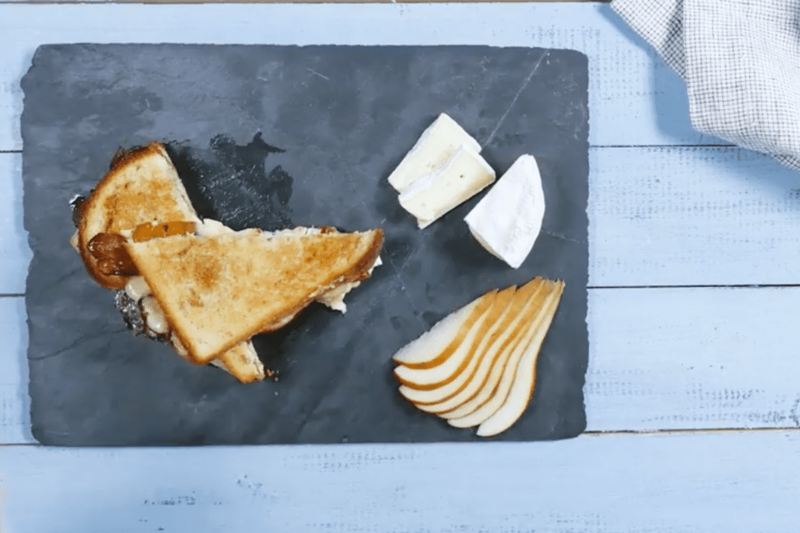 This grilled cheese uses simple ingredients that are packed with bold flavor for a symphony of taste that's elegant and satisfying in every bite. Bake or fry your bacon to the doneness you prefer. In a nonstick skillet, warm the pear slices over low heat for 3-4 minutes. Set aside. Generously butter one side of each piece of toast. The buttered side is the outside. Take one slice, on the side without butter, build your sandwich: generously slather with honey, then add the warmed pears, top with cheese and the bacon. Close the sandwich over, again butter side out. Place a pat of butter in a skillet and heat over medium high heat. Grill both sides until golden brown and cheese is melty.